Inside a high-ceilinged, unfussy diner in central Vietnam, I waited hungrily for my lunch at a small table by the window. Nguyen Thi Loc – the 80-year-old “Banh Mi Queen” of Hoi An – was carefully preparing the next batch of made-to-order sandwiches with her daughter at a stand by the entrance. 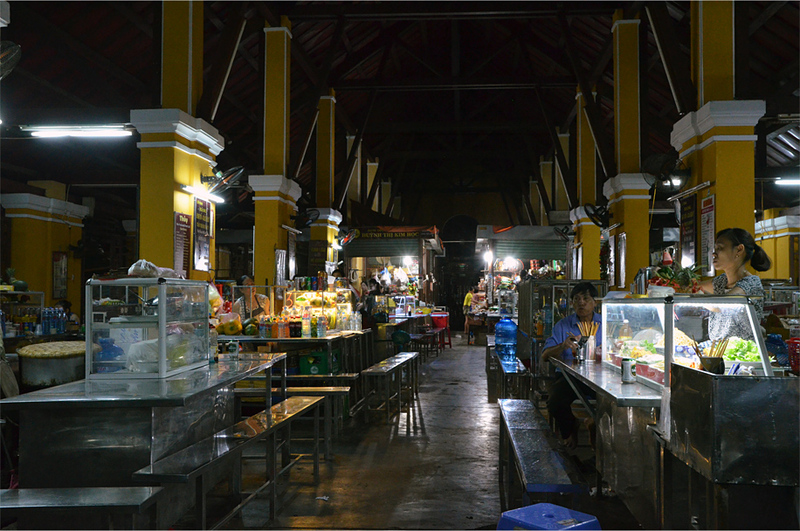 I’d made the pilgrimage to Nguyen’s stall outside the UNESCO-listed old town after reading a host of favorable reviews. 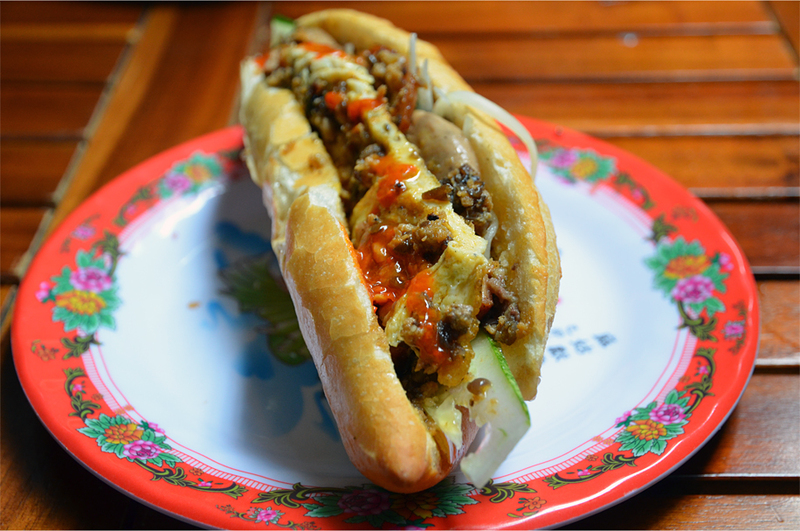 Most recently, a childhood friend had paid a visit while on his honeymoon and raved about her banh mi. Soon a single-serving baguette was placed in front of me on a plastic, red-rimmed plate. I could smell the richness of its contents even before picking it up. As I held the banh mi with my hands, a rich, oily sauce began to drip out from one end, running down the sides of my fingers and into my palm. With one bite, my palate was enveloped in a riot of textures and flavors. The warm crust of the baguette gave way to an indulgent filling that began with a hit of sweet-spicy chili sauce drizzled over unctuous slices of roasted pork. I found pâté brushed with Nguyen’s secret dressing, a layer of scrambled egg, then Vietnamese cha lua sausage on a bed of crisp lettuce and thinly sliced cucumber, not to mention pickled strips of carrot and young papaya for more acidity and bite. The final note was a subtle hint of mayonnaise, or possibly butter, on the fluffy white bread. All told, it was a mouth-watering combination that left me regretting my decision to order just one. No banh mi, I knew, would ever taste the same again. Ever since that very first trip in 2013, when I spent a few days in Saigon with my mother and grandparents, I had always wanted to return to Vietnam. So deep is the love of snacks and light meals that the Vietnamese have coined a term to describe eating for enjoyment’s sake – an choi (an being “to eat” and choi being “to play”) is perhaps a snack from a specialist one-dish street food vendor, while festive eating is termed as an qua, literally “a gift for the mouth”, describing the kind of elaborate cooking that creates an incredible combination of flavors in one bowl. I’ve no doubt that much of what I had in central Vietnam was an choi and an qua. On my first night in Hue, the former imperial capital, I tried the local specialty nem lui: succulent minced pork mixed with spices and fish sauce before being grilled on lemongrass stalks. Unlike similar dishes in Vietnamese restaurants I used to frequent while living in Hong Kong, the meat was not eaten straight off the lemongrass skewers, but pried from the lemongrass with chopsticks, then wrapped in rice paper lined with fresh greens and herbs – Thai basil, mint, cilantro, lettuce, and sometimes sliced banana blossom. The slightly funky but addictive dipping sauce was also a surprise, with its dominant flavors of pork liver and peanut. Elsewhere in Hue, Bama and I found ourselves ordering no less than six combinations of rice flour and shrimp. 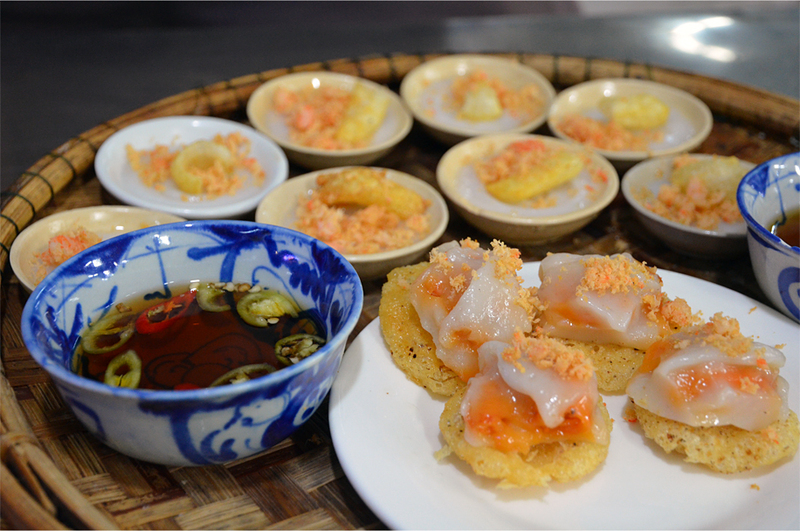 The first two were banh beo – miniature steamed rice pancakes topped with flakes of shrimp and crispy pork rinds – and banh ram it, in which a base of fried sticky rice dumplings supported its steamed counterpart stuffed with shrimp meat. 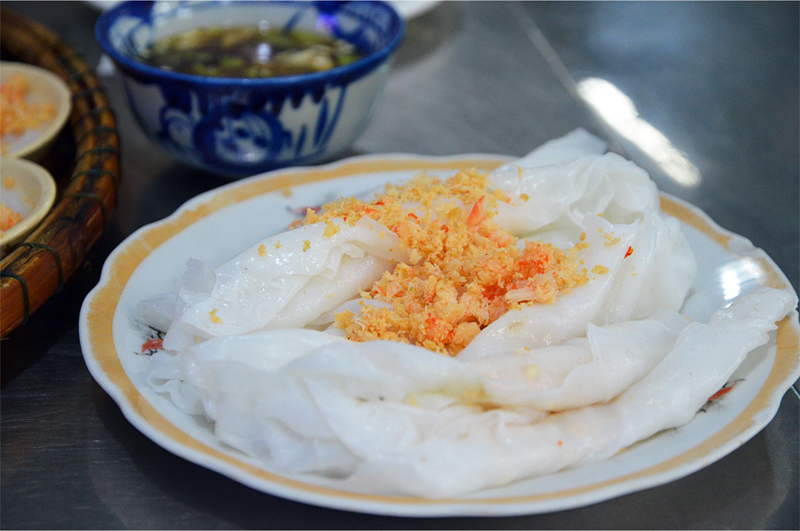 Banh uot, rice flour rolls and minced shrimp, struck me as the sort of pure, uncomplicated dish my mother would love. Cha tom – shrimp-and-rice cakes cut into lozenges and arranged like a flower, was another standout, while banh nam and banh loc comprised dainty parcels of sticky rice and shrimp wrapped in banana leaf. An essential condiment for each of the above were bowls of sweet-savory dipping sauce, one of which was spicy even by Indonesian standards. 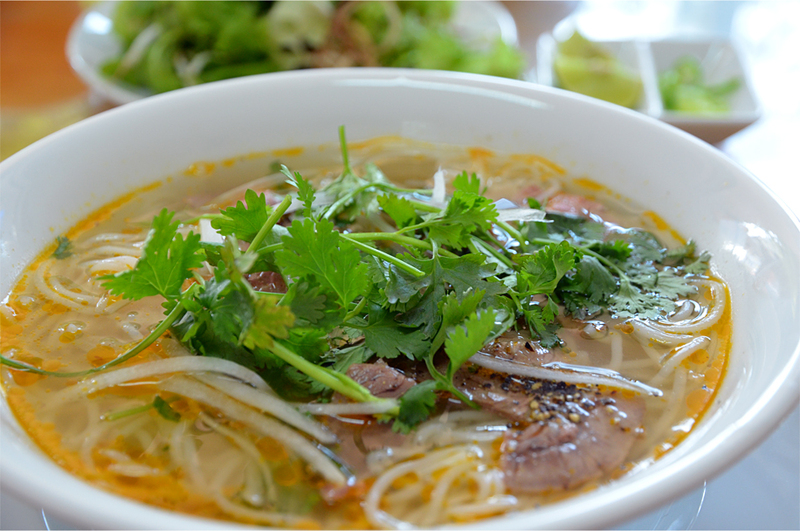 Of course, we could not leave town without trying bun bo Hue, the local beef noodle soup, at three different places. Contrary to what I’d heard, none of the iterations we had were particularly spicy (it could be because we live in Indonesia), though all three contained a fine balance of flavors. 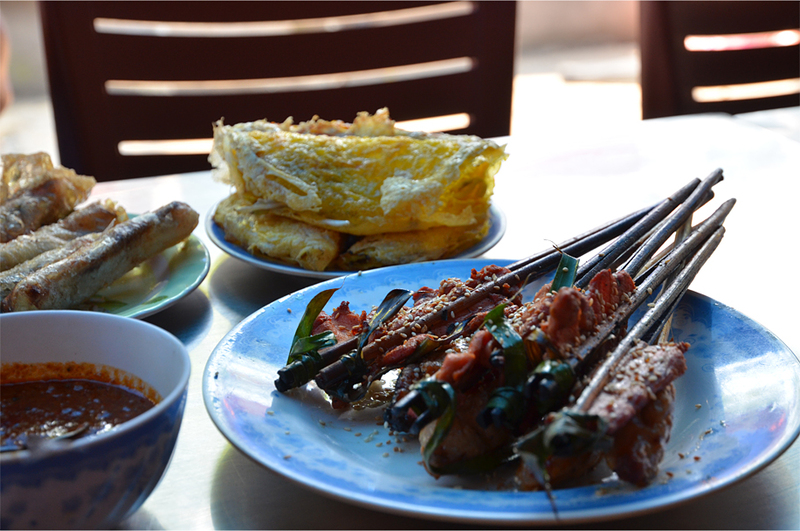 But it was Hoi An that emerged as the culinary highlight of the trip. After an early morning excursion to the Cham ruins of My Son, Bama and I settled down for a late breakfast of com ga. Made up of shredded chicken, liver, and herbs atop a pile of rice seasoned with chicken broth and pandan leaves, it was immediately reminiscent of Hainan chicken rice in Singapore and Malaysia. At the justifiably famous Ba Le Well Restaurant, I saw how the local version of banh xeo – a fried, rice flour-based crepe I’d tried in Saigon – was completely different to its southern counterpart. It was smaller but thicker, folded in half to make a crispy pocket for the ultimate Vietnamese roll. Once all the ingredients were set down on the table, a waitress came by for a quick tutorial on wrapping the banh xeo: first by placing the savory pancake in two folded triangles of rice paper – so thin they were transparent – then piling on fresh herbs and leaves, strips of pickled carrot and cabbage, a spring roll, and a skewer of barbecued pork before rolling it all up. The rich, aromatic dipping sauce was just as much of a revelation. I couldn’t get enough of this rust-red concoction made up of soybeans and a potpourri of spices, with shrimp paste and extra chili added to the mix. A number of Hoi An specialties cannot readily be replicated elsewhere, thanks to a combination of local ingredients and the unique properties of the water drawn from the town’s centuries-old wells. 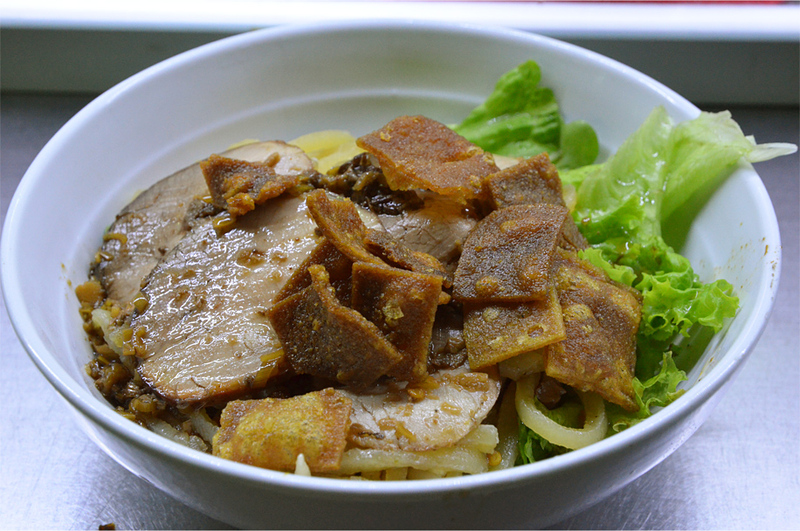 Chief among these dishes is cao lau noodles, topped with beansprouts, tender slices of pork (traditionally simmered in soy and five-spice seasoning in a clay pot), and crispy squares of deep-fried dough. The thick noodles were unlike anything I’d ever had in Vietnam or Vietnamese restaurants in other countries: they possessed a spongy texture that made them chewier and firmer than pasta cooked al dente. 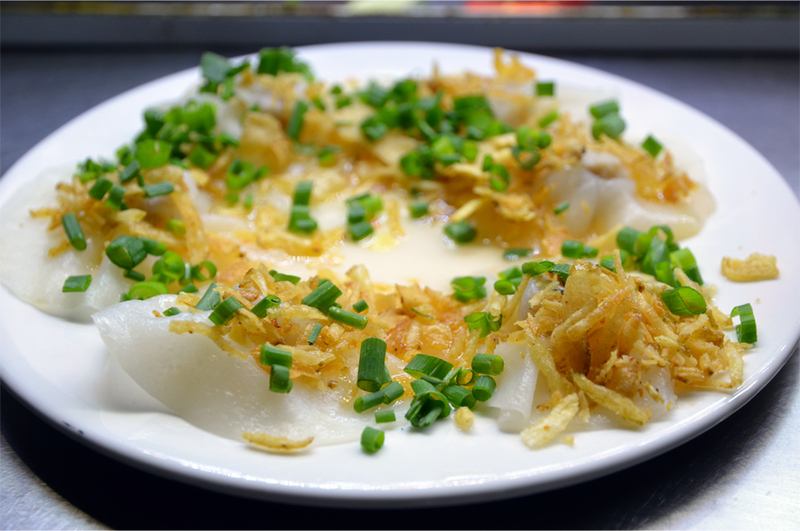 Another dish that relies on the use of well water is the steamed dumpling known as banh vac, which contains ground shrimp and spices in little clouds of translucent rice flour, nicknamed “white roses” for their appearance. 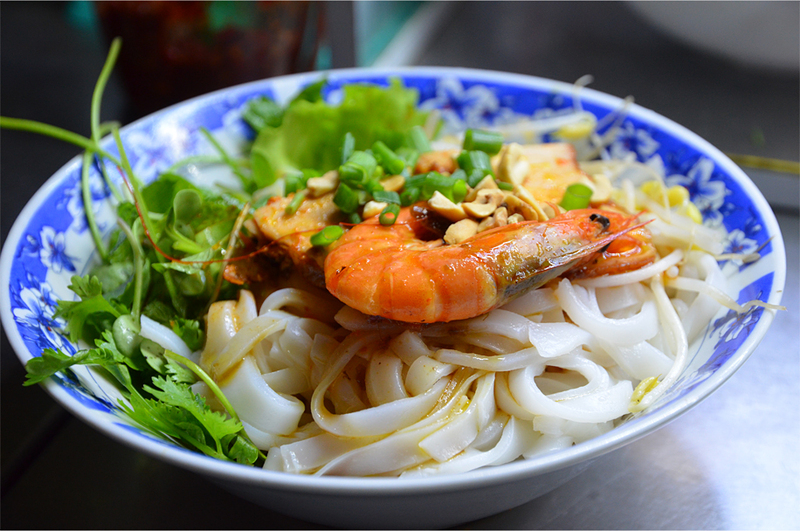 I discovered that Hoi An’s mi Quang was even tastier than that of Da Nang – these flat rice noodles were served with shrimp and pork in a full-flavored broth that yielded the natural sweetness of seafood. Oh God James this was torture! It all looks and sounds so delicious and I’m on day 3 of a 4 day fast to be followed by a 7 day cleanse. I’m almost drooling looking at your superb photos. Ah, sorry about that, Alison! Vancouver must have its fair share of good Vietnamese restaurants – I guess it’s something you could look forward to after the fast and cleanse. Oh yes, Vancouver has great Vietnamese restaurants. I suddenly realize that I’m hungry! Good thing you’re in Mumbai where the food is also fantastic! I haven’t been myself, but have heard plenty of good things about local treats like the vada pav. True enough, but I had your photos in front of me. Great work, those. I don’t read too many “foodie” articles as a rule, so I’m glad your article caught my eye, this is excellent, good photos, well-written, and really interesting. This is, in fact, the best food-related article I’ve read for at least a year. And I’m determined to try every one of these dishes!! You’re too kind – thanks so much for leaving me such a wonderful comment. 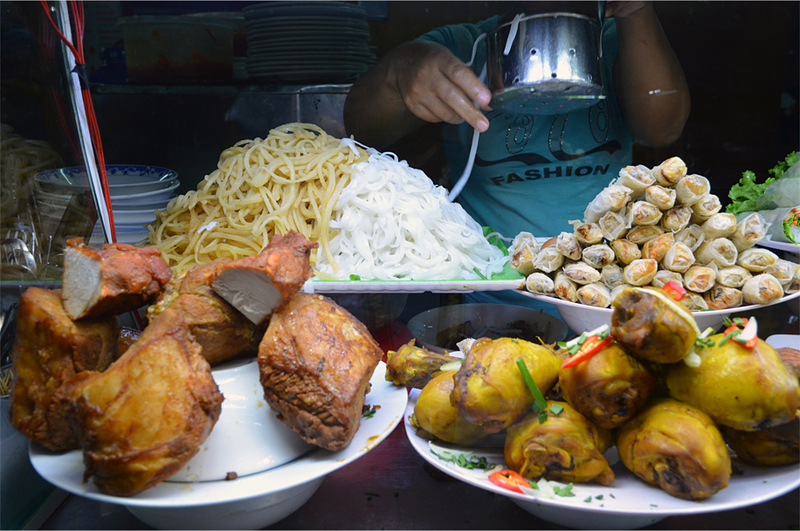 I hope you have no problem tracking down all these dishes on a future trip to central Vietnam. They taste even better than they look! Simply put, you were in a pork heaven, especially after moving to a city where chicken and beef are more easily found than pork. 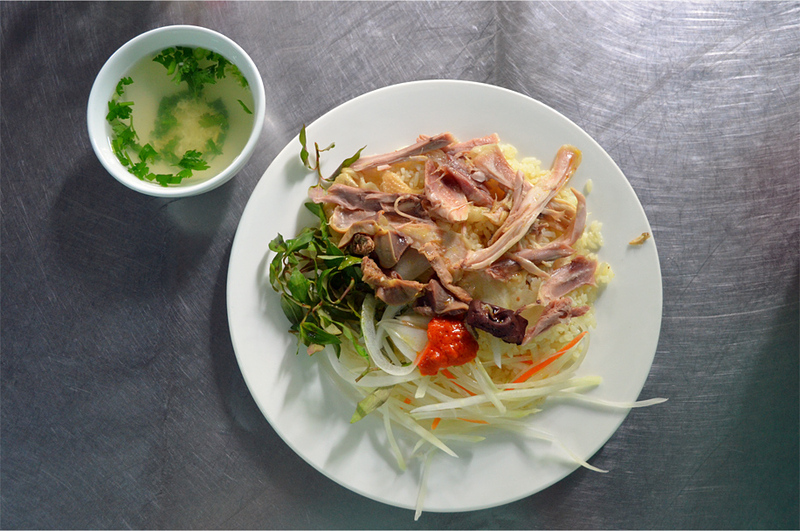 What I love about Vietnamese food is its emphasis on fresh ingredients which makes the dishes taste healthier. As for bun bo Hue, I felt a bit silly for thinking that the dish should have looked more red. Apparently the other dish I often have at a Vietnamese restaurant in Jakarta — and thought that it was bun bo Hue — is a completely different dish! I’m glad I read this on a full stomach, James. Indeed I was, Bama – I must have gained a couple of kilos after gorging myself on all that pork in Vietnam! Now that you mention it, I’m curious to try bun bo Hue here in Jakarta. It will be interesting to see how closely it tastes to the real dish. Everything looks so fresh and well made! And your descriptions were deliciously painful to read. A banh mi from my local isnt going to cut it! After this trip, I probably won’t be ordering a banh mi for the next couple of weeks. I guess nothing beats going right to the source! 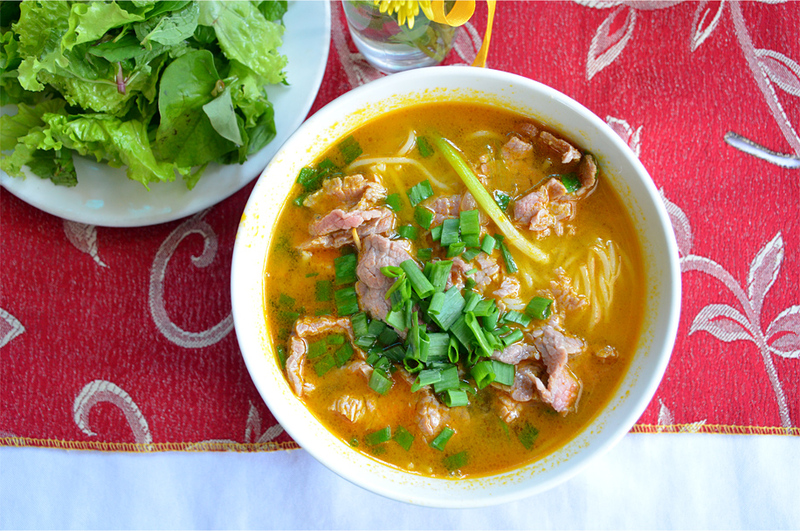 These photos are making me so hungry for all the Vietnamese food! Guess I should have put a disclaimer in there somewhere: “Read only on a full stomach”! Lots of Vietnamese food here in Houston, so I’m going to seek out some of these things! I looked up the word banh since so many dishes you mention have that word and I couldn’t figure out the common thread. My search was not that helpful; it says banh means ball, and any kind of bread, and wheat bread, and … Can you enlighten me? Is it anything wrapped up in a carbohydrate?! Anyway, it all looks and sounds delicious! I think your definition of anything wrapped in a carb more or less describes it perfectly! 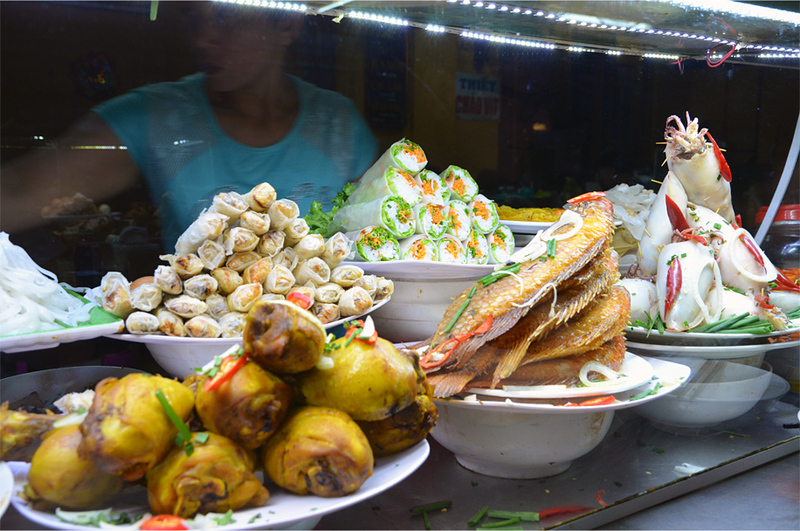 Banh is a very loose term in Vietnamese – it refers to any kind of cake, bread or pastry. And that’s not just in the way we understand in English… many varieties of rolls, dumplings and noodles also seem to carry that name. Oh my goodness James I am reading this before dinner and now salivating at your photos and description. Sue, I’m glad you had dinner to look forward to after seeing this post! Any plans to visit Asia in the next couple of years? Maybe a bike trip through Vietnam is in order. James yes we are! We have put a deposit on a cycling trip starting in Thailand, through Cambodia and finishing in Vietnam in Jan 2018. That sounds amazing, Sue! It will be a welcome change from the Canadian winter – I haven’t yet been to Cambodia so you and Dave will get there first. We are pretty excited and I have been in touch with Bama. Would love to get to Indonesia following but that will depend on how much time we have. James, you make me want to check fares to Vietnam! My knowledge of Vietnamese cuisine is limited to Pho. I remember the kids raving about the food after their visit, but they weren’t quite as evocative as you. Hope to try all of these on a future visit. Brilliant post. Thank you, Madhu! The Vietnamese food I enjoyed on this trip was far more complex and layered than anything I’d tried so far at restaurants in Hong Kong – it was almost like discovering the cuisine for the first time. Glad you liked this, Nikki. Awesome post!! I loveddd how beautiful those food pictures are! I love Vietnamese food and have very blessed to grow up around Vietnamese cuisine. These food pics are incredible. May I ask what kind of camera you are using? Much appreciated! I would say my food pictures are a work in progress – they don’t always turn out well, especially if they’re taken at night. Camera-wise, I’ve been using a Nikon D5100 for the past couple of years. Although my first taste of a local Vietnamese food was a total fail (it was called ‘dao fu’), the next ones were all successful! I love Vietnamese food! And just recently I had bun bo hue here in Jakarta, I think it tasted close to the real thing in Hue (well, it was in 2009, so hopefully my taste buds still ‘remember’ the taste.. LOL). Dao fu sounds suspiciously like the term for tofu in my native Cantonese! One of my friends who recently lived in Hanoi for a year said the best local cuisine she had there was in the central region. 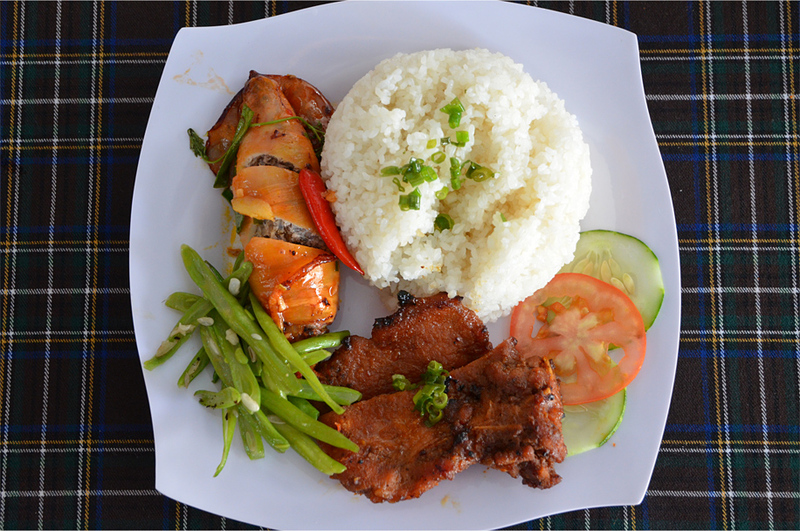 We’re lucky to have decent Vietnamese food here in Jakarta – though nothing beats traveling there for the real thing!